When Should I Have LASIK Performed? No matter how young or old you are the health of your eyes is of the utmost importance. Our eye sight is an essential element in our everyday lives. It is important to remember this when making decisions regarding your vision. There are many choices when it comes to correcting issues with your vision such as eye glasses, contacts, and LASIK. When choosing an option that is right for you a lot of people start to consider undergoing the LASIK procedure. The thing most people are worried about is that they aren’t the right age to have the LASIK procedure performed. If that is you, keep on reading. What is the perfect age to have LASIK performed? Ophthalmologists and LASIK surgeons both agree that a patients age means less than the stability of their vision when determining if they should have laser vision correction performed. Patients that have has the same prescription for a period of time are most likely ready to have the LASIK procedure done. This often occurs for patients in their twenties. Are there career benefits to LASIK? Depending on your career, clear vision without the hindrance of eye glasses or contacts can be extremely beneficial. Athletes are one category of individuals who would have an advantage with laser vision correction. Contacts are not the same hindrance as eye glasses can be however there is always the concern about losing one or getting dirt in it while in the midst of an activity. Can my eyesight continue to change one it has been corrected by LASIK? Your vision can still change once the LASIK procedure is performed. Laser surgery helps to increase your vision to its best but even after LASIK it can still continue to change naturally over time. Statistics show that about 10% of LASIK patients will need to have touch up procedures performed after LASIK is done. This is especially true the more drastic your vision correction was. 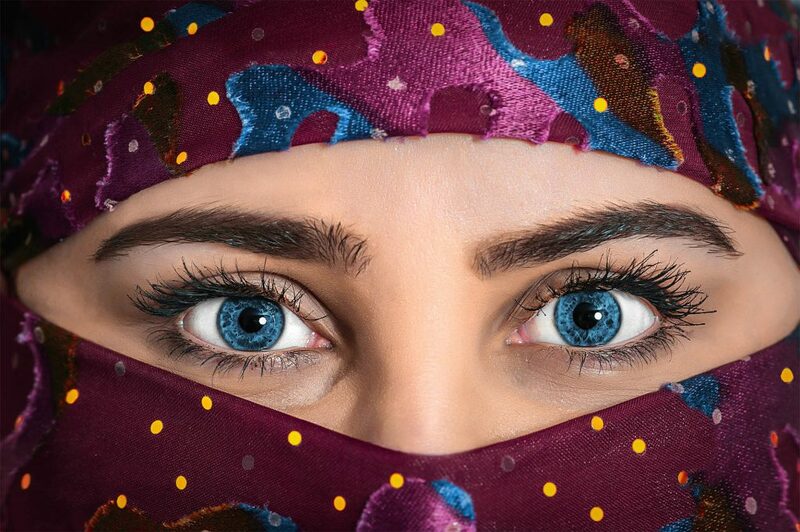 If you are interested in finding out more about LASIK and how it can benefit you talk to family, friends, co-workers, and the people you trust for LASIK surgeon recommendations. This allows you to narrow down providers before hitting the internet for reviews and scheduling consultations. Eye care after laser vision correction is crucial in ensuring the success of your surgery. Complications can occur with LASIK but are lessened with proper care before, during, and after the procedure. One of the most important aspects comes just hours after the surgery. It is recommended to rest for a minimum of four hours after surgery. Take a nap and rest your eyes. Some patients choose to wear protective eye shields. Eye shields are recommended to use when sleeping for the first few days after surgery to prevent unnecessary rubbing from occurring. It is crucial to prevent any eye-rubbing while your eyes are healing after laser surgery. It is important not to rush recovery which is easy to do since most patients experience a return in eyesight quite quickly. Post LASIK care has a great deal of importance, it is as important as the surgery itself. In order to receive the most out of your LASIK experience follow the tips below. Plan Follow-Up Appointments: Appointments will be scheduled to follow up with your eye doctor/surgeon during the first three months after the surgical procedure. After this time period annual eye exams are necessary to ensure the health of your eyes. Follow Your Doctor’s Orders: Along with keeping follow up appointments with your LASIK surgeon it is imperative to schedule appointments with your primary eye doctor, ophthalmologist to keep up on changes in your vision. Annual eyes exams allow future issues to be caught quickly and immediately. The First Week: Rest your eyes. 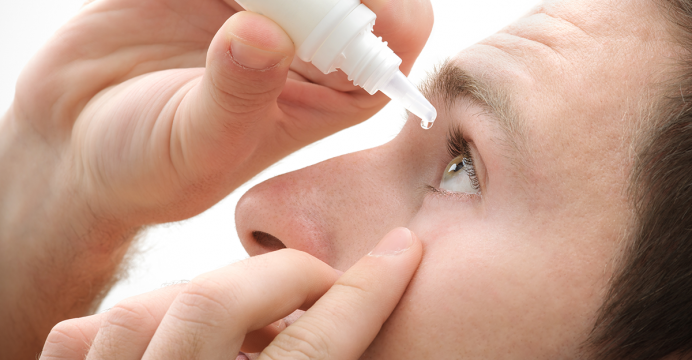 Use prescribed eye drops to prevent dry eyes, infection, and inflammation. If you experience any issues, big or small, immediately call your LASIK surgeon. Months After: Continue to follow up with your eye doctor and report changes that occur during the healing process. Monitoring the health, comfort, and vison changes of your eyes is necessary for preventing complications. For many patients they will return to work within a day or two of the LASIK procedure. The restrictions below are a guide to follow until you are feeling ready to return to normal activities. Don’t drive until your LASIK eye surgeon says your vision has returned. This normally occurs within a day or two. Wear sunglasses to protect your eyes all the time but especially the first week after LASIK. Use restraint in reading and computer usage for the first days after your procedure. Makeup should not be worn for at least a week after laser vision correction surgery. As stated above do not rub your eyes for at least once a month after LASIK. Exercise should be avoided for at least once a week. Contact sports should be avoided for a month. Patients should avoid swimming, hot tubs, or whirlpools for a week after LASIK surgery. Prevent dust and dirty environment to help eliminate the risk of getting something in your eye while your eye heals. Are you or a loved on interested in LASIK? Have you thought about how your life would change if you could see clearly without the use of glasses or contacts? Laser vision correction may be a popular option for you to consider. The first step in the process is to have a thorough eye exam that will help to determine if you are a good candidate for surgery. LASIK eye surgery is most often done to treat nearsightedness, farsightedness, and astigmatisms. Laser surgery involves reshaping the cornea in order for light entering the eye can focus properly on the retina which allows for clearer vision. For most people their vision is improved within a matter of twenty-four hours after surgery. If you are looking for clear vision without the need for glasses or contacts, LASIK can offer you that. Laser vision surgery can be done in both eyes during the same appointment. LASIK takes approximately ten to fifteen minutes per eye. Patients must be over the age of 18 to qualify for LASIK. Many LASIK patients achieve 20/20 vision and no longer require the use of contacts or glasses. Recovering from LASIK often requires anywhere between a few days and a few weeks for your vision to return to normal. For some patients LASIK can seem quite daunting and they will decide to trade in their glasses for contacts instead of laser vision correction. Contacts are an ideal solution for patients who aren’t ready to commit to LASIK but no longer are interested in wearing glasses. Most contact lenses are silicone hydrogel lenses which are a type of soft lens that can be worn daily. Some contact lenses are known as extended wear lenses and can be worn overnight or continuously for thirty days. Both LASIK and contacts are safe. There are risks of infection with both if care is not taken but side effects are rare. Both LASIK and contacts are effective. Vision is improved with both laser correction surgery and the use of contact lenses. Adjusting for vision changes is easier with contacts however, LASIK patients can also adjust for vision changes with the use of glasses for reading or nighttime driving. Both LASIK and contacts are affordable. Laser vision correction ranges between $1,500 to $2,500 per eye. Contacts are cost about $300 a year. The only downside is that the cost of contacts never disappears. You will need to purchase new contacts yearly. Obviously, LASIK is a great option for correcting your vision on a permanent basis however, surgery is not for everyone. Contacts are a wonderful change for individuals who want a change from wearing glasses to improve their vision. Having LASIK performed may mean that you no longer have to wear corrective lenses to properly see. However, how do you know if you are a good candidate or not? What should you consider when you are weighing out your corrective vision options? Obviously if you are tired of having to put contacts in every morning or are sick of wearing glasses you start to consider laser eye surgery. LASIK is a type of refractive eye surgery that is done that helps patience achieve 20/25 vision or greater. This is optimal for most activities that we will participate in. Often, patients do eventually need glasses as they age or even for nighttime driving. The complications experienced with LASIK are rare. In fact, LASIK has a high success rate. Dry eye is the most common issue experienced after LASIK. This usually ends up clearing up with the use of eye drops. It can last up to a few months however, this is rare. Your specific results will depend on a number of factors including your refractive error. Patients that suffer from mild nearsightedness have reported greater success from refractive surgery than patients with a high degree of far or near sightedness or an astigmatism. There are a number of variations of laser refractive surgery. For our purposes we will refer to them under the term LASIK. With normal vision, images are focused on the retina in the back of the eye. When your eye sight is less than perfect it means that the image is being focused elsewhere, which results in blurred vision. Normally, images are focused on the retina which is in the back of your eye. With nearsightedness (myopia), farsightedness (hyperopia) or astigmatism, they end up being focused elsewhere, resulting in blurred vision. This is corrected by reshaping the cornea to provide the proper refraction thus correcting your vision. Before your surgery begins your eye, surgeon will take detailed measurements of your eye. The laser is then used to properly remove parts of the corneal tissue until proper vision has been achieved. In order to be a candidate for LASIK there are a number of requirements that must be met. Patients must be in good health and free of diseases that could restrict healing. Overall you must have healthy eyes that suffer only a moderate degree of refractive errors and you are not or have not experienced any unusual vision issues. Age related vision disorders such as cataracts are not cured during LASIK. Cataract surgery is different than LASIK. If you have an active job or lifestyle where you can not take time off to recover, then LASIK is not appropriate for you. Recovering from LASIK surgery is fairly simple but does require you to avoid intense workouts or activities where you could suffer a blow to the head for at least a month. Preparing for any surgical procedure comes with its fair share of anxiety, LASIK is no different. Laser surgery for vision correction has a number of benefits. Knowing the end benefit, vision without corrective contact lenses or glasses, is only half the battle. Preparation ahead of time to put your mind at ease is the other half. Below we will answer the top questions we get during LASIK consultations. As always, if you have questions that did not get answered during your FREE consultation with the LASIK specialists at Rohr Eye & Laser Center, patients can call the office at any time. The number one question we are asked involved the pain level that is experienced with LASIK. The truth is that most patients experience very little pain or discomfort during surgery. In fact, many patients explain the sensation as a slight pressure that is felt as the laser is reshaping the cornea. Of course, everyone’s pain tolerance is different but overall this is the experience patients have described after their procedure. What occurs during the LASIK procedure? The actual LASIK procedure itself is fairly quick and easy. Numbing drops are applied to the eyes. Once this occurs, doctors will cut a very thin flap on the surface of the cornea. The surgeon will use the laser to shape the cornea according to the prescription from the most recent eye exam. After this is finished the eye surgeon will carefully place the flap back into place and perform the same procedure on the other eye. Lasers are used in both the creation of the flap and shaping the cornea although in the past a thin blade had been used to create the flap. Is LASIK performed on both eyes at the same time? YES! Laser vision correction can be performed on both eyes at one time. With LASIK, vision improvement is virtually instantaneous, and healing is minimal. During LASIK the laser is only used for about 60 seconds per eye. Although LASIK can be performed on both eyes at the same time some patients prefer to have one eye done at a time. This is possible however, rare. Do surgeons use anesthesia during LASIK? No, anesthesia is not given during the LASIK procedure but instead eye drops are put into the eye just prior to the procedure. Some patients with higher levels of anxiety about the procedure require oral medication to be given for relaxation. Needles and intravenous drugs are not required. How long does the LASIK process take? LASIK is a quick process surprisingly. On average the procedure can take less than 15 minutes once the patient is settled in the treatment room. The laser aspect of the procedure usually takes less than 60 seconds per eye. If I blink during LASIK what happens? Surgeons use a speculum to keep patients’ eyes from blinking. Some patients remark that there is a slight pressure from the speculum. Patients are told to focus on a blinking light throughout the procedure. Movements of the eye are expected, lasers that are used include an eye tracker which accounts for movement and helps to ensure accurate delivery of laser pulses. Refractive and laser eye surgery, known also as vision correction surgery, is implied to surgical procedures that repair problems with vision. In the last decade there have been huge developments in the process of vision correction using lasers. Both refractive and laser eye surgery allow patients to see better than they previously. Many laser eye vision correction surgeries are done by reshaping the eyes cornea. The cornea is the front part of the eye that lets light pass through it and focus it on the retina, which is the back of the eye. Other surgical procedures are done by replacing the natural lens of the eye. LASIK, otherwise known as laser in-situ keratomileusis, is a surgery that assists in nearsightedness, farsightedness, and astigmatisms. The surgeon will reshape the tissues found underneath the cornea, so the light can focus properly. A flap is made in the outer layer of the cornea in order to access the tissues that lay underneath. This flap is what differentiates LASIK from other surgical vision procedures. During LASIK surgeons may also use wavefront technology. This technology creates a detailed picture of the cornea to use as a guide during surgery. During Epi-LASIK, a surgeon separates the thin layers of tissue from the cornea and then reshape them using a laser. The area is protected by using a soft contact lens to hold the flap in place while the tissues are healing. PRK, otherwise known as photorefractive keratectomy, is a surgery that assists in the correction of mild to moderate nearsightedness, farsightedness, and astigmatisms. Similar to LASIK a laser is used in PRK to reshape the cornea. In PRK the laser is only used on the cornea and not the tissues underneath. Similar to LASIK, wavefront technology is used in PRK to obtain a picture of the cornea. LASEK, otherwise known as laser epithelial keratomileusis, is a surgery that is very similar to PRK that assists in nearsightedness, farsightedness, and astigmatisms. Surgeons create a flap and use an alcohol solution that loosens the tissue and the laser is then used to reshape the cornea. Once this part of the procedure is complete the surgeon will put a soft contact in place to hold the flap while it heals. During Epi-LASEK, a surgeon cuts a small flap within the cornea while using an alcohol solution to separate the thin layer of tissue for the cornea, reshapes it with the laser, and is protected by a soft contact lens holding the flap in place for healing. RLE, refractive lens exchange is known by a few different common names including PRELEX, CLE, and RLR. This is the same surgery that is done for cataracts. Surgeons make a small cut at the edge of the cornea. They then remove the eyes natural lens and replace it with a plastic or silicone lens. This surgery is used to correct severe farsightedness and nearsightedness. The surgery works for patients with dry eye, thin corneas, and minor issues with their corneas. Surgical laser vision correction is safe and effective. 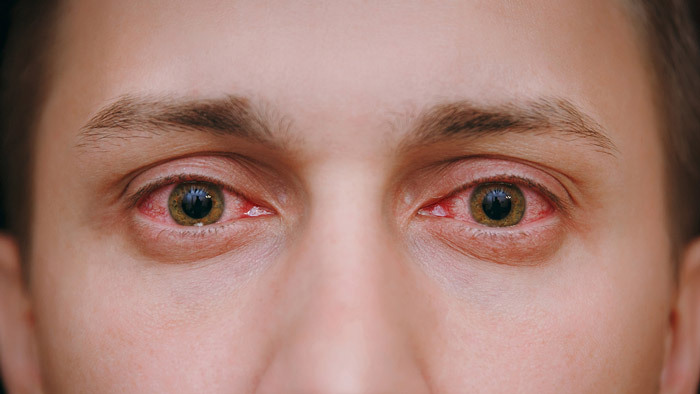 Similar to any surgery there are known side effects that can include: infection, a delay in healing, under or over correction, worse vision, corneal haze, halo effect, regression, and/or flap damage. All of which are rare but can occur. It is important to always talk in depth with your laser vision correction surgeon before the procedure about any questions or concerns you may have. LASIK is a widely practiced method of laser eye surgery. Vision is improved using laser vision correction techniques like LASIK through a reshaping of the tissue underneath the top later of the eye. It is often hard to really describe what LASIK is and what is involved without using a lot of technical mumbo jumbo. The jest of it boils down to the fact that when vision needs correcting and a surgical option is sought, whether we are correcting nearsightedness, farsightedness, or astigmatisms, a procedure using a refractive laser is performed to restore proper vision in the eye. LASIK is the most popular and most widely accepted surgical method used in treating refractive errors and is done by reshaping the cornea in a manner that allows light to focus properly. LASIK surgeons create a flap near the front of the eye that exposes the inner layers of tissue on the cornea to allow the laser to shape the cornea. This is done by removing exposed tissue that is preventing the light to focus as need be. The surgery is completed when the surgeon seals up the eye by closing the flap. The eye is given time to heal and vision often returns to near perfect within a matter of twenty-four hours. Experience: LASIK is a form of laser vision correction that has been in place form more than twenty years. Surgeons have been performing this procedure for many years and are very experienced correcting several defects within the cornea of the eye. Recovery: The recovery process is unlike any other. Your vision starts to become clearer within just a couple hours of surgery. What other surgical procedure of this nature do you see drastic results like this? 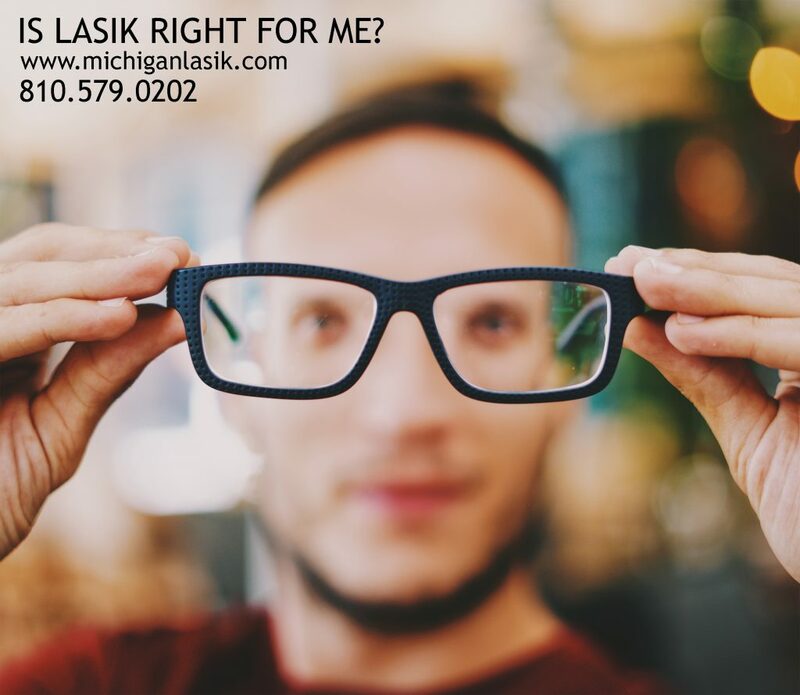 Obtainability: LASIK is a very popular procedure and performed across the state of Michigan. Rohr Eye & Laser Center sees patients from all around the area. It is safe to say that almost every office offering laser vision correction offers LASIK as an available procedure. Flap Complications: In order to reach the cornea a flap is made in the outer layer of the eye. Side effects to the flap specifically can include infection, inflammation, and dislocation. The flap is intended to adhere back into location right after surgery however is it doesn’t seal back together with the corneal tissue, issues can arise. The flap rests on the eye so there is opportunity present for it to dislodge during healing. Therefore, it is recommended to lay low and avoid any contact sports or intense activities during the healing process. Dry Eye: Dry eyes can occur after laser vision correction surgery. Nerves in the eye are cut during the procedure which can reduce the sensation to blink. When a person doesn’t blink often enough it will not stay as lubricated as it needs to. Although uncomfortable, dry eyes will often improve quickly. LASIK is one of many laser vision correction methods performed at Rohr Eye and Laser Center. For a detailed, FREE consultation call the office to schedule a time to meet with our dedicated team. There are a number of benefits that come from corrective eye surgery such as LASIK. Having perfect or close to perfect vision without the hassle of glasses and contacts. There is a great deal of annoyance that comes along with wearing glasses or contacts. When you are engaging in physical activity, enjoying some time in the water, or what not you always worry about your glasses being in a safe place or if you will get sand in a contact. There is a lot of agitation that comes along with making sure the device you use to see properly doesn’t break or get something in it. Laser corrective eye surgery makes athletics of all types simpler. Many an athlete has come into the office complaining about the inconvenience of wearing glasses and contacts in contact sports. LASIK is an attractive option for athletes. It is important however, that they give themselves enough time off in between surgery and heading into action to allow their eyes to heal. Even if you are not a professional athlete, if you have a particularly active life style LASIK is beneficial as well. Simple outdoor activities like jogging, hiking, camping, and more are all made simpler without having to worry about carrying contact solution with you or be concerned if you break a lens while out on the trail. Laser eye surgery can elevate your active lifestyle. Vacations are made easier with laser vision surgery as well. Anyone who has ever taken a trip knows how difficult it is to pack and prepare for a trip. Now factor in the supplies you need to see along with spares in case you lose a contact or miss placing your glasses without having a suitable solution. Your trip could easily become a disaster. Imagine spending the entire vacation looking for a suitable replacement for your glasses or contacts rather than enjoying your time away. LASIK allows patients to go glasses free and still see without the discomfort that is often experienced with the use of contact lens. This typically comes into play when preparing for a special event like your wedding day. Brides are often disinterested in wearing their glasses on their wedding day however still want to be able to see, without the irritation of contact lenses. LASIK gives patients the opportunity to just get up and go without a care in the world. Imagine waking up and not having to consider the means at which you will see. Another benefit of LASIK surgery comes from the money that is saved. It is estimated that Americans spend upwards of 30 billion dollars a year on eye care solutions each year. On average LASIK costs about $2,000 per eye which may seem costly however when you add the cost of yearly eye exams, contacts, glasses and the products to care for them properly you are spending upwards of $500 a year. Considering you will need these products for the rest of your life and LASIK is a one-time expense, the savings is seen relatively quickly. Laser vision correction is becoming an incredibly popular surgical option to improve vision for a number of reasons. LASIK is convenient and allows people to pursue a comfortable and confident lifestyle. The many benefits that come from living a life without the addition of glasses and contacts allow us to see why laser vision surgery has become such a popular option to provide high quality vision.